Allison Gryski: Star Garland Ta-dah! If you'd like to make one of your own, I have a few notes on how I made my garland. 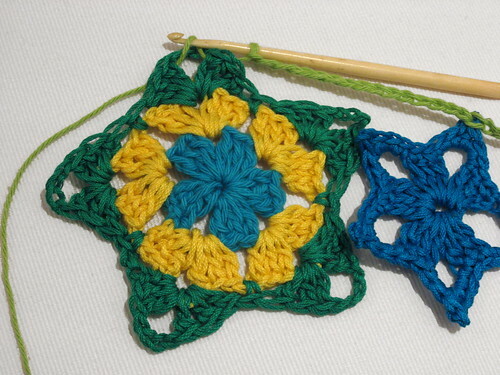 I used 15 colours of yarn and for each colour, I did one large star with that as the outer colour. 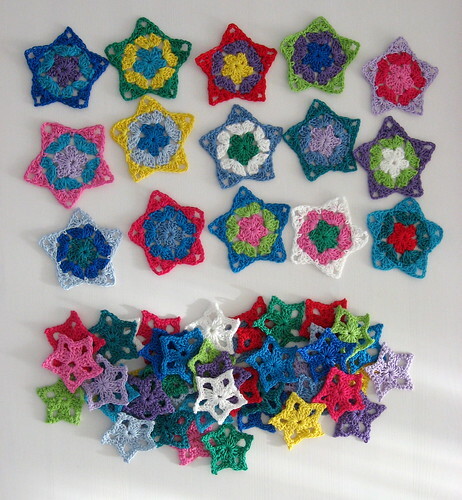 For more details on how I made the large stars, see my Colourful Crochet Stars Tutorial. 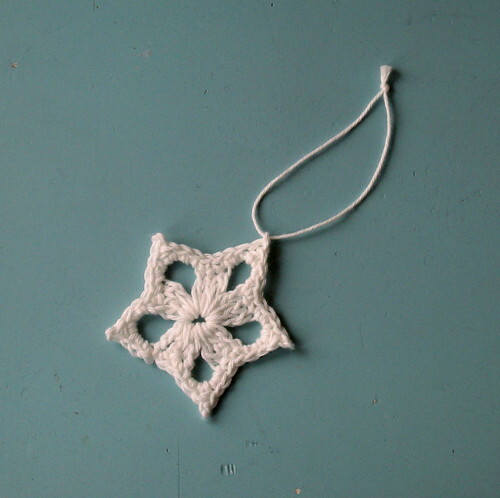 This will leave you with one small star leftover to turn into an ornament. The way the stars seemed to be attached in the pattern, results in them having a tendency to hang sideways. I found that the little loop near the top of a point was perfect for adding a loop of yarn for the ornaments, but for connecting to the garland, I instead used a space a little lower. 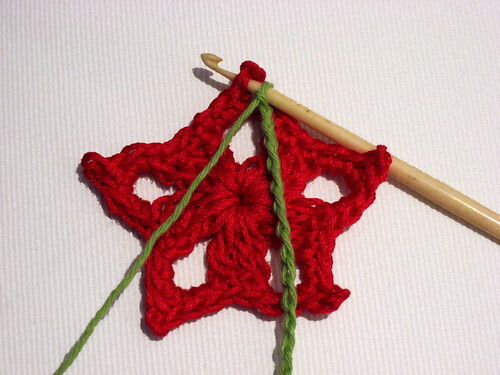 To attach the large stars, I went under the chain stitches that form a point. I did 12 chain in between the small stars (as per the pattern), but that was too crowded around the large stars, so there's 15 chain on either side of those. I just did a slip stitch to attach the stars and then continued with the chain. All other yarn and pattern notes are included on my star garland project on ravelry. 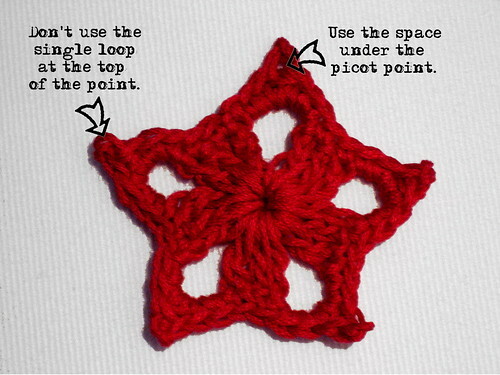 If you string a star garland following this tutorial, I'd love to see it! Post your pictures to my flickr group. I LOVE this! I've been a knitter for 8 years but you just inspired me to do learn to crochet. That is so gorgeous & fun!